This is Mister Brother Culture, the hardest working MC outta Brixton SouthWest 9 on a brandnew Roots Garden production setting fire to each & every dance. With hints of 90’s dancehall keyboards and Brother Culture’s usual styles, he seems to be getting better & better day by day. Check a wicked dubversion by Nick Manasseh on the flipside and mark the first of September in your calendar, when the limited 7inch will be released. 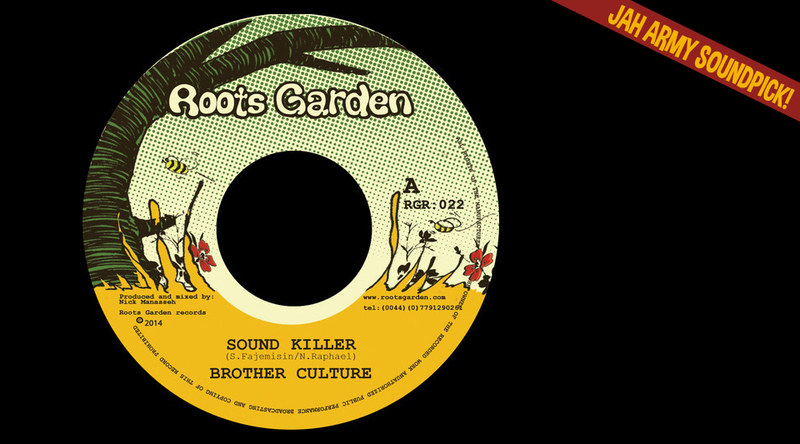 If you like what you hear nuh forget to check Brother Culture’s Jah Army Dubplate here. Dubmatix production, recorded in Likkle Lion Sound Studio, Geneva, Switzerland. Limited free download still available. Support good Reggae Music everytime! Real sound killer. Brother Culture pon top like everytime. Badda dan bad fi real mr. socialdread!